Are you tired of milk letdown ruining your days and clothes? Then it may be time to invest in a quality nursing pad. Today we are reviewing the Medela Disposable Nursing Brad Pads. 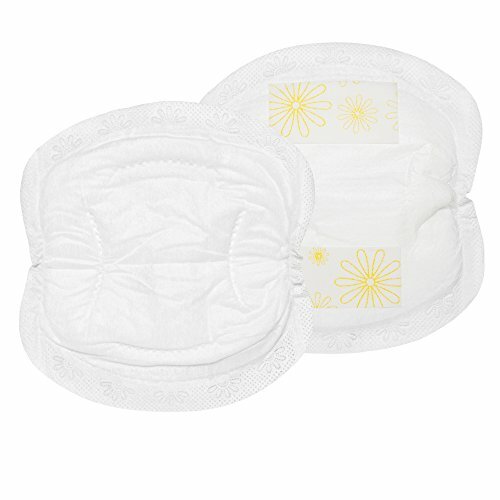 The Medela Disposable Nursing Bra Pads has absorbent materials that prevent leakage and maintain dryness. Because it maintains dryness, you won't need to dispose of them as often. In the package comes 120 pads. Each pad is individually wrapped, which keeps them safe and clean. It is very discreet under clothing, and it has double adhesive tape that keeps the pads in place. The material is made with cotton, nylon, and an absorbent polymer. The material is soft for added comfort. As of this writing there were 819 customer comments and 6 answered questions for the Medela Disposable Nursing Bra Pads. I've read through the customer feedback, and then condensed the results into this review. I hope that this helps you when shopping for a nursing pad. "I have tried multiple different brands of disposable nursing pads (Lasinoh, Target brand, drug store brand) and Medela's are by far my favorite. They are super absorbent and (in my experience) leak the least when you have to go a little longer than expected between changes (overnight, etc.)." "They have 2 adhesive sticker to keep them in place and come individually wrapped in plastic." "These do the job but are a little rough and the packaging is a bit much. I never thought I would complain about something like that but they are all individually wrapped and there is just a lot to unwrap and throw away. For a busy mom, this is a bit cumbersome." "There is no glamour in nursing pads, but these are comfortable and they work, and I don't feel like they are showing through my clothes." "I like them and I sure like the price for the number of pads. I don't think I'll need to buy a second box!" The Medela Disposable Nursing Bra Pads come in a pack of 120 pads at a bargain price. These pads, however, did have mixed reviews for the comfort level. These pads are very absorbent, are individually packaged, and have stickers that keep them in place. If you are looking for a great priced box of nursing pads, you may want to consider the Medela Disposable Nursing Bra Pads.